Using biotechnology to fight pollution is the challenge for a European Union research project. Under the spotlight – a specific kind of moss. At the University of Freiburg in Germany, a team of biologists is growing moss, in a controlled environment. Mosses are especially well suited as bio-indicators for airborne contaminants as they have no roots and a very high surface-to-mass ratio. Monitoring the levels of nitrogen and sulphur oxides, as sell as airborne heavy metals like cadmium, lead and nickel, is hard to achieve with existing technologies as they are either imprecise or very expensive. One innovation is the cultivation of huge amounts of a peat moss under controlled laboratory conditions. 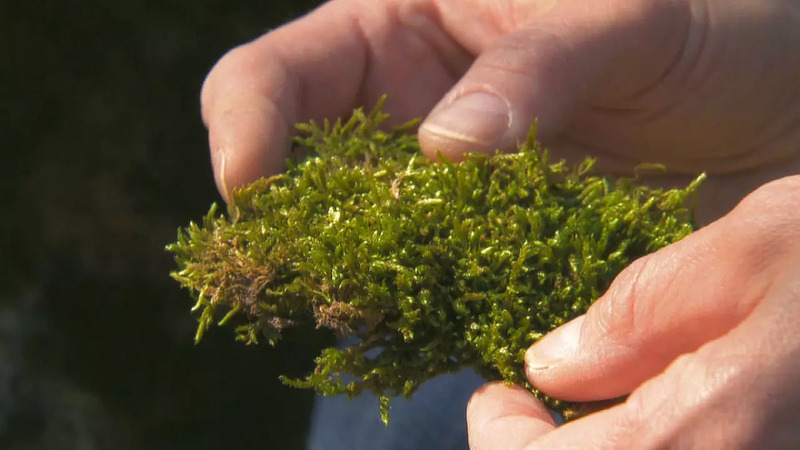 The moss plants are transferred to air-permeable bags, then moved to monitoring stations at a variety of different European locations where they absorb pollutants from the air. This technique is currently being tested in Santiago di Compostela, Spain. Following that exposure, the moss is dried and powdered, then analysed, to measure the levels of different pollutants in it. This approach, combining molecular biology and material sciences with ecology and bionics, could be, in the future, extended to other critical environmental contexts. José Angel Fernández Escribano at the Faculty of Biology, University of Santiago de Compostela, said the plan is to expand the habitats where this principle is used including rivers, fields and industrial areas.